Chinese New Year is just around the corner! 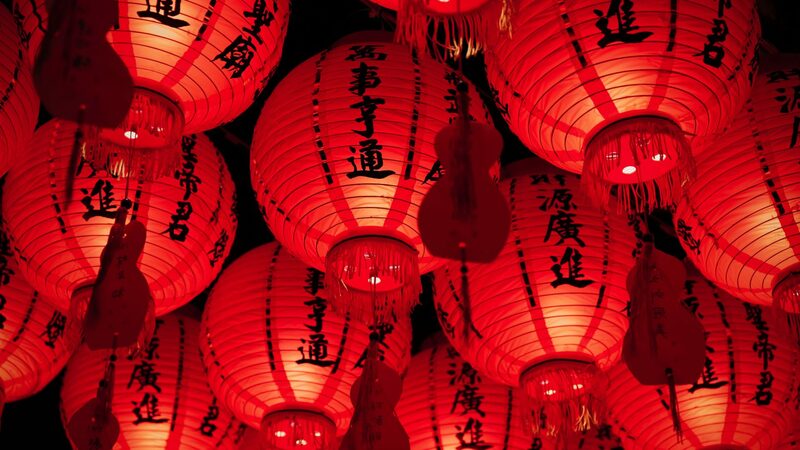 The Greater Nashville Chinese Association will be hosting our annual Chinese New Year Gala on Saturday, Feb. 9th, 2019 from 4:30-8:30 pm at Lipscomb University. Please see flyer for more detail and click here to purchase your tickets. We look forward to having your families and friends to join us and share our traditions, culture and great food! 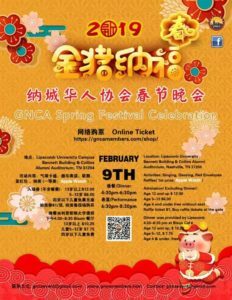 The 2019 GNCA Chinese New Year Gala will start at 4:30 pm at the Bennett Building Student Center with children’s activities, community booth displays and dinner from 4:30-6:30 pm provided by Lipscomb Bison Café featuring our favorite Chinese and American dishes. The Gala performances will be from 6:30-8:30 pm at the Collins Auditorium with amazing traditional Chinese performances, new talent shows, red envelopes for children and raffle prizes including Apple watch, Google mini and many more! 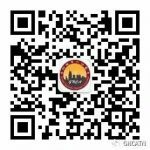 Greater Nashville Chinese Association (GNCA) is a 501(C)(3) non-profit organization representing the Chinese community in the Middle Tennessee area. Each year, GNCA board members, volunteers and performers spend many hours preparing for the New Year Gala. We are grateful for the continued participation from the community and support from our sponsors and donors to make this a wonderful experience for everyone involved. Please contact us at gncaevent@gmail.com if you are interested in becoming an event sponsor, donating a raffle item or reserving a community booth. All donations and sponsorships to GNCA are tax deductible. Please view our website at www.gncamembers.com for more details about our mission, events and sponsorship opportunities.